recommended for: Fans of Uprooted by Naomi Novik, Wintersong by S. Jae-Jones, or And I Darken by Kiersten White. 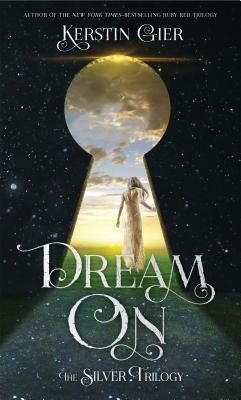 A dark, atmospheric fairy tale with the sensuous charm of Wintersong (though much lighter on the romance! ), the woodsy old country tone of Uprooted, and the scope of And I Darken. It's a slow-burning tale that breaths life into Russian folklore and history. It's slow, almost painfully so in the beginning. Many readers will be lost here. Arden starts before Vasya is ever born, and spends quite some time with her mother and father. I kept with it because I was entranced by the language and the world. I'm glad I did, because the story creeps up on you, languidly unfolds into something entrancing. Vasya is a spirited, fae character. She befriends kitchen devils and talks to horses. She's the strongest character, and easy to love. Her father is next, well-meaning but somewhat oblivious, the prototype of a kindly boyar. Then there's her stepmother, whom I loathed. In a good way. Her cruelty isn't exaggerated like in some tales. It's believable, the fervent viciousness of someone who believes what they do is in service to God--led on by the golden-haired priest whose narcissism drives him to become an idol to the people of the isolated town. Other characters were somewhat underutilized. I wanted more of Vasya's brothers and of Dunya, her wise nursemaid. There was so much muchness in this book, so much expansiveness in the world. Too many stories to be adequately contained in one book, so naturally a few were left a little limp. The worldbuilding and language worked together to create a home for these characters, and for the reader. Arden's prose is lyrical and visceral. She borrows old phrases and sprinkles Russian words judiciously. There's a sedate magic in the way her phrases build on each other. They sneak up on you, slowly, and then suddenly your head is in the chilly forest and there are stars in your eyes. It's rich with quirky creatures (I seriously want to squeeze the domovoi, whom I pictured as a Pignite for no good reason) and superstition. The plot is intriguing, but a bit convoluted. It took me a while to get my bearings. (Get it, bearings?) Once I did, I found myself reading rapidly. The character dynamics were fascinating. There was something very Dostoyevsky-esque in the atmosphere Arden weaves, in her large cast and their complex interpersonal struggles. It was deeply human as much as it was fantasy. Then it stopped rather abruptly, when I was just getting to know the night king. More Morozko, please? I wanted the book to start later in the story and end later in the story. The last page was like an unfinished sentence, a breath cut off by a knife to the throat. I don't know that I want a sequel, because sequels so often spoil a good standalone, but maybe a novella? All in all, it was a powerful reading experience. I'd read it again. Arden's folktale, though perhaps more expansive than its current bounds, is rich with old world mystery, modern sensibility, and subtle wit. 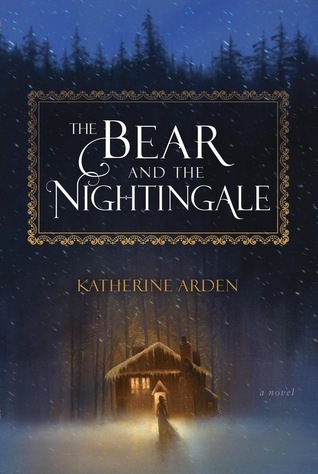 The Bear and the Nightingale is a slow-burning fairy tale that captures the chilly magic of Russian folklore. I'm between 3.5 and 4 stars. It's so hard to rate! Don't let me scare you away! It could totally just be me. I hope you end up liking it!